Provo • BYU football coach Kalani Sitake admires Wisconsin more than any other program in college football with the possible exception of the University of Utah, where he worked for 10 years as a linebackers coach and defensive coordinator. BYU’s season opening win over Arizona offered proof that the Cougars are making strides in emulating the tough, hard-nosed, physical Badgers, but Saturday’s 21-18 loss to Cal showed they still have a long way to go. 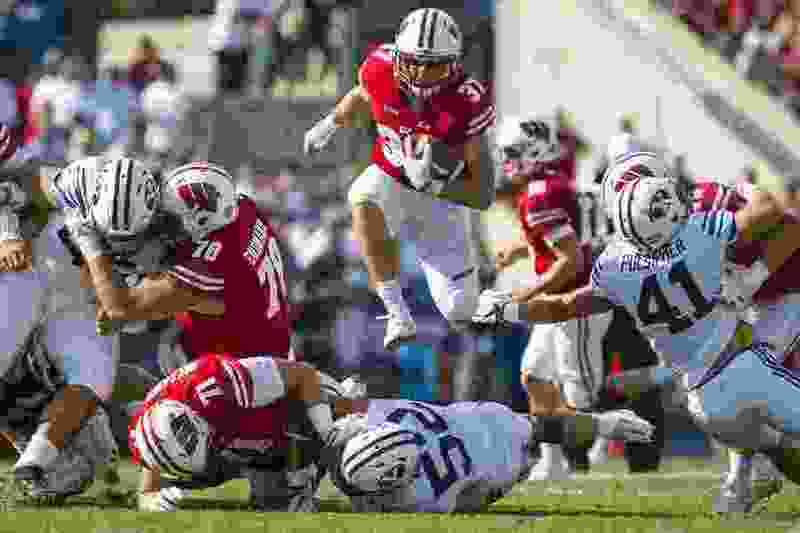 Wisconsin pummeled BYU 40-6 last year in Provo, racking up 495 yards and holding the Cougars — who were without injured quarterback Tanner Mangum — to 192 yards. The Badgers’ superiority in the trenches was on full display, and afterwards Sitake called it a “good clinic” and said that is the type of team BYU aspires to be. Sitake said he hired defensive line coach Ilaisa Tuiaki to be BYU’s defensive coordinator three years ago and former LSU offensive line coach Jeff Grimes to be BYU’s offensive coordinator last winter with that in mind. He said that despite its recruiting restrictions, BYU should be able to hang its hat on attracting top-flight offensive and defensive linemen, much as Wisconsin has done. Wisconsin has similar restrictive academic admissions policies as BYU, a point former Utah State coach Gary Andersen made when he left the prestigious Big Ten school for perennial Pac-12 cellar-dweller Oregon State after the 2014 season. Sitake has expressed, to a lesser extent, similar frustrations with getting recruits into BYU. The latest example is former Juan Diego defensive end Chinonso Opara, who signed with BYU last winter but never made it into school and is now at Weber State. Are the Cougars on the right track? Having succeeded Andersen in 2015, fourth-year Wisconsin coach Paul Chryst has managed to make it work, tough academic standards and all. The Badgers are 36-7 in his tenure and have won back-to-back Big Ten West Division crowns and consecutive New Year’s Six bowl games. Wisconsin is on a 41-game win streak in nonconference home games and has won 20 straight regular-season games dating back to Oct. 22, 2016. Chryst said the willingness to change and adapt while holding firm to certain core beliefs has served the program well. Chryst said it hasn’t been difficult to convince his players that BYU will be more formidable than it was last year, when the Badgers won easily in Provo. The Cougars can only hope it comes close to being that. • BYU quarterback Tanner Mangum suffered an ankle injury the previous week against Utah so Beau Hoge got the start for the Cougars and managed to generate just 192 yards of offense. Wisconsin had 495 yards.